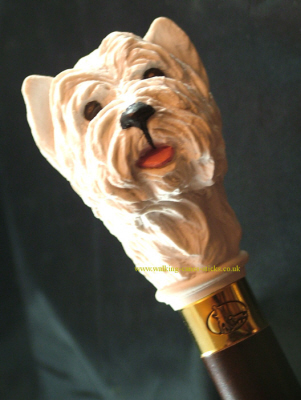 We all love a little westie. This is a beautiful walking stick study that displays the lovely character of these little terriers. Mounted on beautiful mahogany stained hardwood shaft and finished with a gilt collar.